Every year the Architectural League of New York recognizes eight dynamic young firms as Emerging Voices that have the potential to become leaders in the field. Historic winners like Morphosis (1983) and Toshiko Mori (1992) have become today's lions, and practices like Johnston Marklee (2007) and Tatiana Bilbao (2010) have jumped to new heights after recent wins. This year's crop was selected in a two-stage portfolio competition where a jury of architects selected the winners. The deciding jury included several previous winners like Dominic Leong (2017), Fernanda Canales (2018), and Marlon Blackwell (1998), giving the process a familial feel. Laureates for 2019 come from across North America and almost all are partnerships or collaboratives—capital letters feature prominently, too. Ignacio Urquiza, Bernardo Quinzaños, and CCA will lecture at the Scholastic Auditorium at 130 Mercer Street, New York, New York, at 7:00 p.m. on March 7, as part of the Emerging Voices lecture series. Since its founding in 2008, the partnership has completed over two hundred projects with the help of many interdisciplinary collaborators, including builders, contractors, and nonprofits. The firm, an organization dedicated to the “research, conceptualization, and development of architectural and urban projects,” according to the architects, combines tastefully exuberant buildings with socially driven programming—the goal being to enrich the practice of architecture. 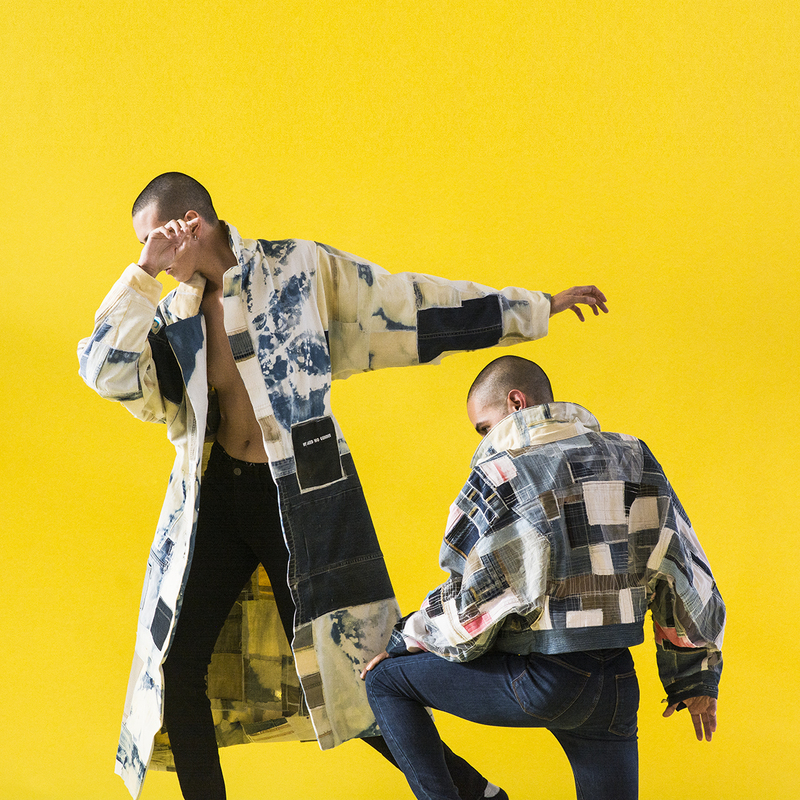 With a deep interest in local building traditions and a passion for collaboration between adjacent professionals and craftspeople, Quinzaños and Urquiza pursue building as a social and creative enterprise. For example, the firm recently completed a new campus for the State of Mexico Boys and Girls Club, an organization for at-risk youth, comprising three spartan educational buildings linked by an arch-covered concrete walkway. Just as the human spine is made up of two dozen vertebrae, the walkway is composed of 24 pairs of intersecting concrete vaults generously proportioned for group conversation. The walkway connects classrooms and spaces for the performing arts and sports programs with a sunken amphitheater and plaza that constitute the center’s beating social heart. One way the parnership imbues its projects with this desired ambiguity is by creating many different kinds of covered outdoor spaces to establish architecturally focused social condensers. In their Escuela Bancaria y Comercial Aguascalientes project, for instance, the designers invert the approach taken at the Boys and Girls Club by designing an inwardly focused campus centered on broad internal hallways and exposed single-loaded corridors. A central concrete-lined courtyard is the epicenter of consecutive circulation rings that connect formal classrooms and libraries with public living rooms to help create areas where students’ minds can wander and extended conversations can take place. In the firm’s more conventional commercial and residential projects, the designers make skillful use of layered spaces to add a human dimension to larger-scale buildings. Casa Moulat, a wedge-shaped residential golf compound north of Mexico City, for example, uses mud-colored concrete walls to frame a pair of long-span openings that dematerialize to form a living room open to the landscape on two sides. 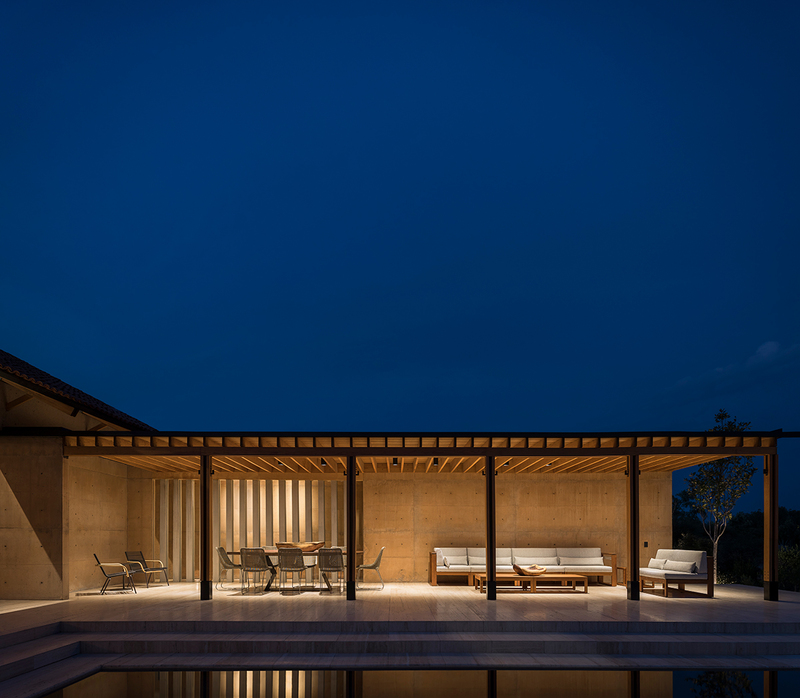 At Casa Moulat, landscapes, materials, and buildings come together both physically and conceptually. Starting 2019, Urquiza and Quinzaños will carry on to work in independent offices: Quinzaños will remain as lead of Centro de Colaboración Arquitectónica while Urquiza will continue his practice as Ignacio Urquiza Arquitectos. For the first time in its 37-year history, the 2018 Association for Computer Aided Design in Architecture (ACADIA) Conference convened in Mexico City. The conference was chaired by Pablo Kobayashi and Brian Slocum, and was hosted by the University Iberoamericana. The cultural implications of holding the conference in Mexico City were best explained by keynote speaker and professor at the Universidad Iberoamericana CDMX and principal at Estudio MMX, Diego Ricalde’s analysis punnily titled PPP (Prejudice, Paradox, Pragmatism). Ricalde speculated that Mexico’s architectural culture is at a moment where the unproductive division of old world single-vision, analog thinking, and new world "digital hysteria" needs to come to an end. Ricalde’s call for action can be read as a parallel to this year’s ACADIA theme "Recalibration: On Imprecision and Infidelity". The theme encouraged participants to rethink a machine-driven infatuation with nano-centric precision, and recover other avenues of thinking and making. One of the keynote lecturers in the conference, Francesca Hughes, a professor and head of school at UTS Sydney, presented a historically guided parallel analysis between the development of machines and algorithms (in relation to precision and imprecision). She highlighted the architectural surface as an agent that inspired a world-wide (or rather architecture school–wide) cultural obsession with precision and the birth of the software-compulsive object. Critiquing our collective obsession with precision, Hughes offered “error” as a new architectural context in which to frame other digital and "real" systems of designing. Other conference participants (organizers, keynote lecturers, presenters, award recipients, and moderators) responded in their own particular ways to the same question. Every Acadia conference is unique, and the overall discourse generated from the discussions and presentations of the work varies significantly from year to year. 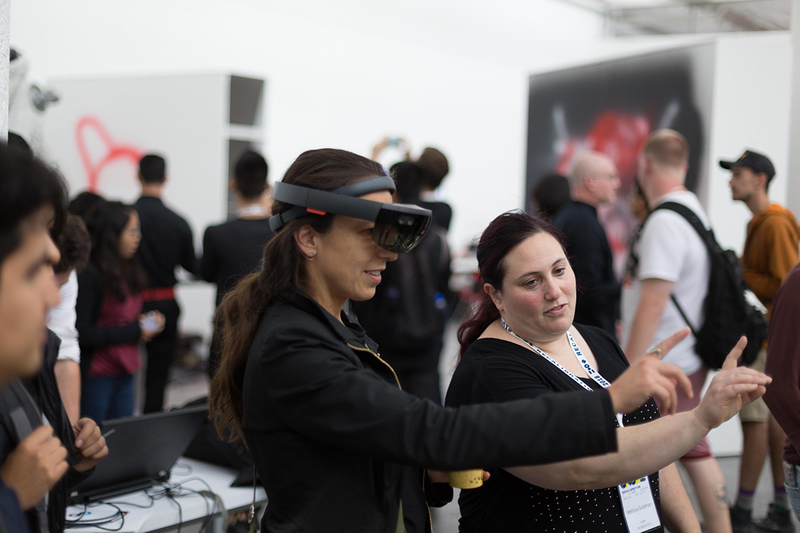 The 2018 six-day endeavor, split evenly between conference and workshop components, attracted 282 attendees from all over the world. One could say that this year’s conference consisted of three primary categories: theory/speculative narratives, work that investigates the aesthetic potential of new technologies, and hyper-focused computation/fabrication oriented research efforts. These categories balanced and propelled the conference into a truly spectacular, inspiring, and educational event. Projects, papers, and talks positioned on theoretical and cross-disciplinary grounds This first category can be best illustrated by the materials presented (and materials included in the publication) by participants such as Neil Leach, Mónica Ponce de León, Patrik Schumacher, Axel Kilian, Behnaz Farahi, Brandon Clifford, Jose Sanchez, ACADIA president Kathy Velikov, and many others. These researchers and thinkers are engaged in cross-disciplinary work and therefore carry a certain responsibility for setting the tone for the overall theme of the event and the conversations that continue after the conference. Leach, for example, appealed to the audience to reassess its understanding of the digital and post-digital. He suggested that we are not yet, and have never really been authentically digital. On another note, Killian warned that the anthropomorphizing of robotics as a way to move forward is a false promise. Lastly, Ponce de León, upon receiving the 2018 Teaching Award of Excellence, illustrated her broader ambitions for digital fabrication from a pedagogical and professional point of view. She argued that the two must be intertwined in order to productively engage with professional and academic architecture. Other thinkers and designers contributed to this discussion with their own predictions and convictions of where the field is headed. This meta-discussion is most essential for the future of the conference. Theoretical and extra-disciplinary discourse sets the tone for the speculative fronts of the next conference, and the evolution of its ambitions for many more to come. Work that explores aesthetic potentials in new technologies The second category of the conference, broadly speaking, can be characterized as an intermediary between the more theoretically-oriented work and work embedded in deep studies of technology, borrowing critical aspects from both. Many participants that plug into this territory discussed projects executed at the pavilion scale. What distinguishes this work from the purely technical or scientific experiments is that many of the projects synthesize serious visual problems and broader research themes. A great example of this type is Jenny Sabin’s Lumen project for the MoMA PS1 pavilion. Lumen, a robotic knitting project, demonstrates multiple layers of tremendous effort and research. 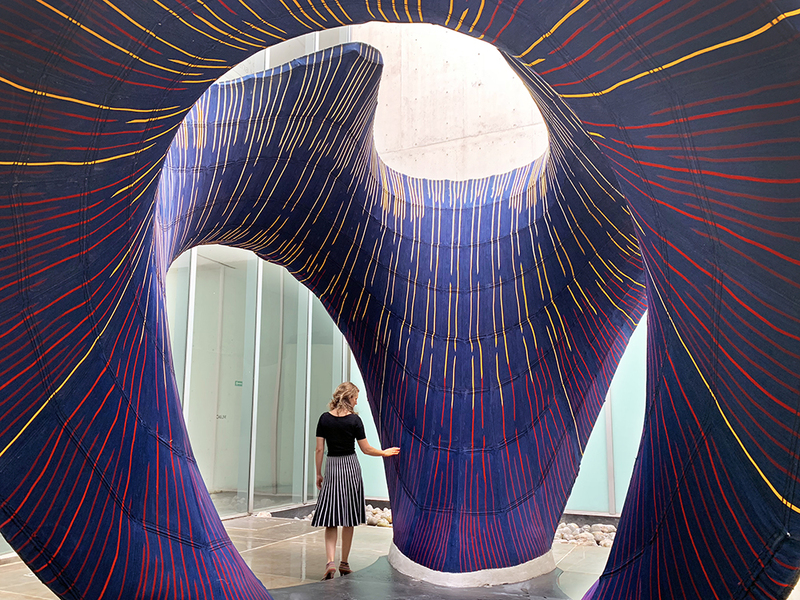 While the project showcases deep fabrication/material knowledge, one cannot help but notice its balancing act between material performance optimization (robotic knitting, custom analysis software, form-finding simulation) and an equally sincere interest in visual studies (composition, lighting, color). Other exemplary practices represented at the conference operating in the same mode are Oyler Wu Collaborative, Matsys, Stephanie Chaltiel and Maite Bravo, Chandler Ahrens, Tsz Yan Ng, and many others as featured in the proceeding's publications. Deep dives into technology and science This last category, central to the overall theme of the conference, is probably closest to the initial ambitions of ACADIA as it was originally conceived. It is fair to say that almost all the projects participate in technologically-driven research and scholarship. However, a few of them focus on a more scientific approach; their project ambitions seem to culminate in the search for novel processes. The evaluation of such projects is perhaps the most speculative because the criteria are abstract and yet to be discovered. Philippe Block, one of the keynote speakers and a professor at the Institute of Technology in Architecture at ETH Zurich, presented a very thorough research project centered on the use of concrete and its capacities for structural integrity and material thickness (or thinness). Another interesting example was Madeline Gannon’s research. Upon receiving the Innovative Research Award of Excellence, Gannon presented her work on synchronized, real-time robotic motion. 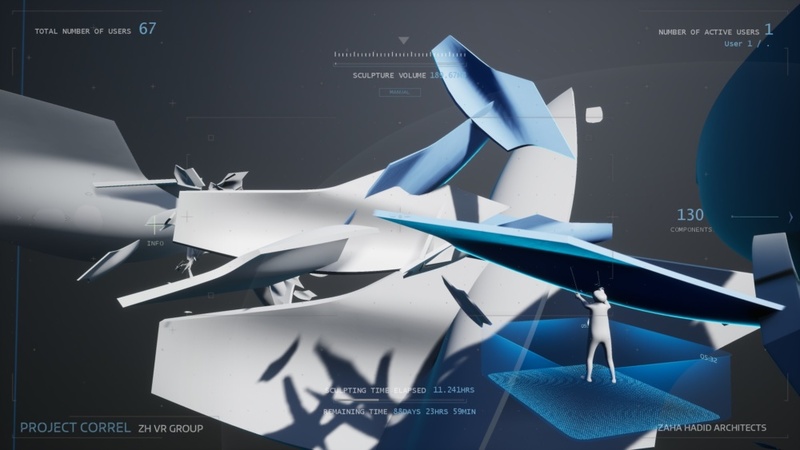 Her work takes form in unique environments (trade shows, gallery exhibitions, and biennales), but what was most interesting about her investigation was the custom workflows and software that she developed during her time at Autodesk’s Pier 9 space. Dr. Gannon’s interface design supports the exchange of information between different parts of machines that were never meant to communicate with one another—introducing a new type of cross-contamination of machine vision and reactive motion. During the last five-plus years, the workshop segment of the conference has been heavily focused on this last category (tech/engineering/computation). The 2018 workshop series, hosted by the Facultad de Arquitectura at UNAM (Universidad Nacional Autónoma de México) however, was more balanced and plural by comparison; solar optimization and robotic spray-painting workshops were held in tandem. The workshops held true to the theme of the conference and interrogated various recalibrations through concentrated production-events. In the workshops, leaders investigated a reassessment of machine and software-thinking related to visual ideas, specific projects, and scientific research. Final thoughts and thinking ahead to next year’s event Of course, it is important to note that the three categories outlined above are inextricably intertwined with one another. 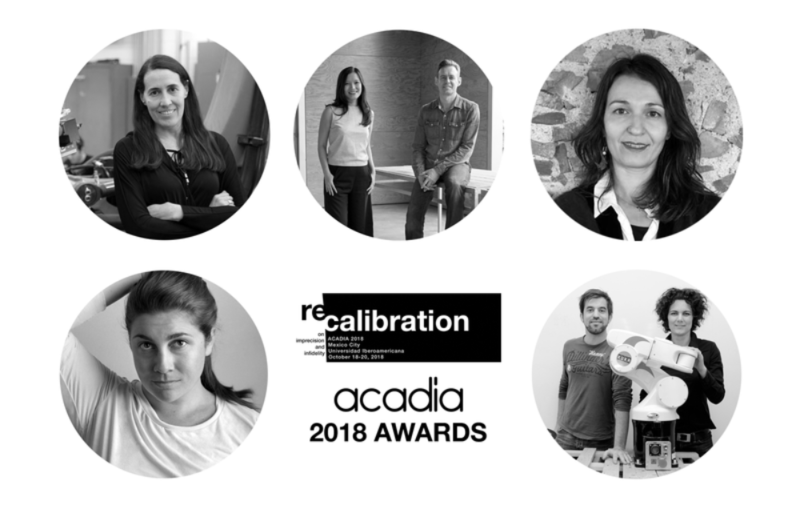 One of ACADIA’s strengths is that it provides a unique platform for these conversations to occur under the umbrella of computation’s presence in the expanded territory of contemporary architecture. Perhaps the project that best illustrates a scenario that accommodates these three modes of thinking in a non-hierarchical manner was presented by another keynote speaker, the Mexican-born, electronic artist Rafael Lozano-Hemmer. For Lozano-Hemmer, the artwork is not simply a thing on display but an interactive environment that promotes human-machine symbiosis. For example, Population Theatre (2016) is a beautifully orchestrated collection of self-inflicted responsibilities. In this work, a highly diverse team of artists and scientists collaborate to generate funds to support a politically-driven project. Population Theatre is technologically-supported by the use of 3651 Raspberry Pi boards to create 7.5 billion points of light. 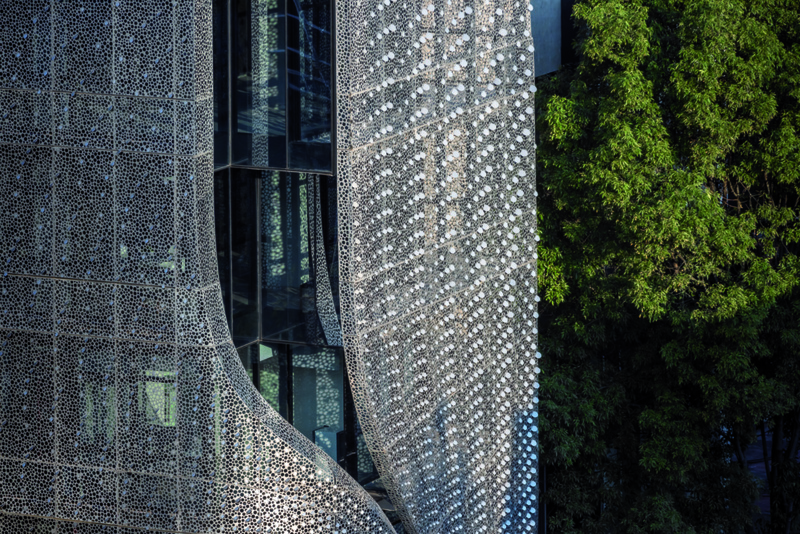 This exceptional keynote lecture was accessible to the public and was held at the Alberto Kalach and Juan Palomar–designed Biblioteca Vasconcelos in downtown Mexico City. It was events such as Lozano-Hemmer’s keynote lecture that made this year’s gathering extraordinary. The organization and curatorial efforts for the 2018 conference were impeccable. It was very clear that the board of directors (comprising 20 members) and the president of ACADIA, Kathy Velikov’s ambitions were to widen the scope of the conference as a pedagogical and professional platform and to challenge the organization to evolve with the discipline. This year’s conference was heavily supported by industrial and academic sponsors, and by the Universidad Iberoamericana, which hosted the workshop series, the project exhibition, and the first day of the conference. Next year’s conference will be held from October 24 to 26, 2019, at the University of Texas at Austin and is titled "Ubiquity and Autonomy". As part of an effort to fulfill campaign promises of rooting out corruption and re-inviting the public to participate in the country’s electoral politics, Mexico’s new president, Andrés Manuel López Obrador, threw open the gates of the nation’s secretive presidential palace for the first time in over 80 years. 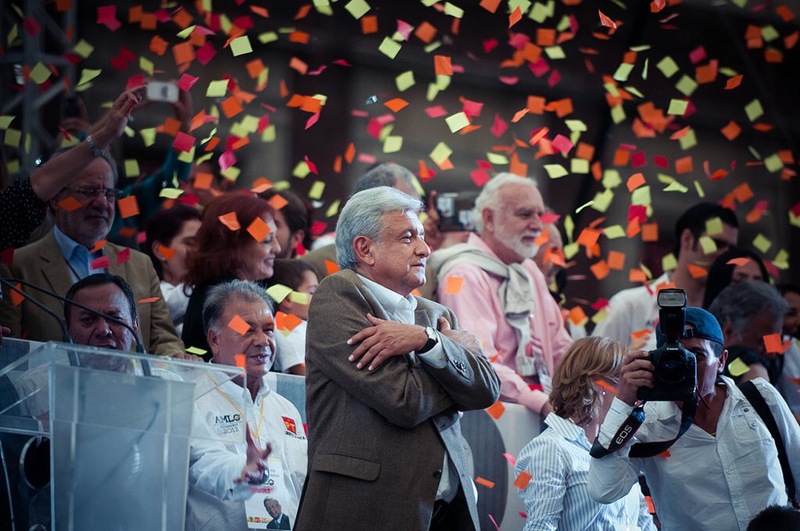 Dubbed by some as the “Mexican Bernie Sanders” for his Leftist bona fides and populist messaging, Obrador—who is known colloquially by his initials as AMLO—invited the public to enjoy the 5,000-square-foot home and its expansive grounds amid inaugural celebrations over the weekend. The move is among the new Mexican president’s first official acts and includes converting the Bosque de Chapultepec–adjacent palace into a museum and cultural complex that will be free to the public. Plans call for converting an existing movie screening area in the palace into a community arts space, for example. AMLO has referred to the palace as a “haunted” place in the past and has vowed to continue living in his current home through 2019 when one of his young children will finish the current school year. The palace dates back to 1550 when it was built as a colonia-era flour mill and has been used as the official presidential residence since the 1930s. During its history, the residence has largely remained hidden from public view but under Mexico’s new regime, the public is finally getting a first-hand look. https://twitter.com/gobiernomx/status/1069378866441990145?s=21 But that’s not all. AMLO also plans to sell the nation’s presidential Boeing 787 Dreamliner airplane and has vowed to fly commercial for official trips. A government-sponsored Twitter account posted a sale notice for the “seminuevo” jet over the weekend, though a price was not listed. 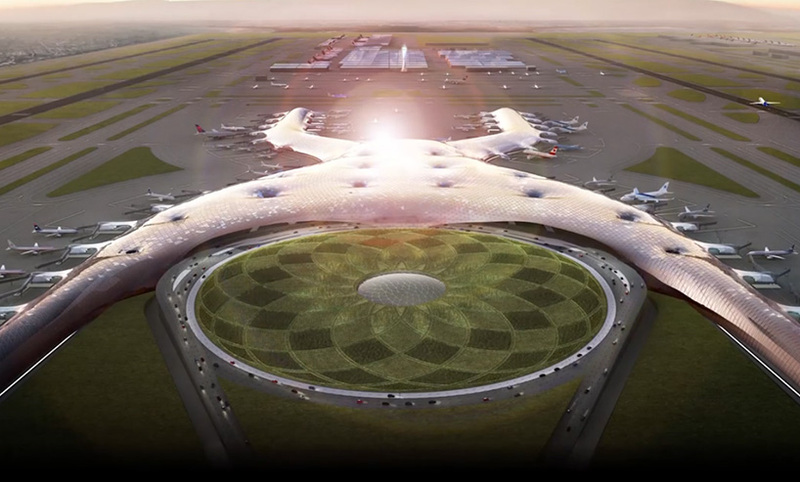 Keep an eye out on Mexico City’s controversial and recently-canceled airport by Foster + Partners. Rumors began flying online over the weekend regarding whether the project—which is roughly 1/3 of the way built—was officially canceled or not. 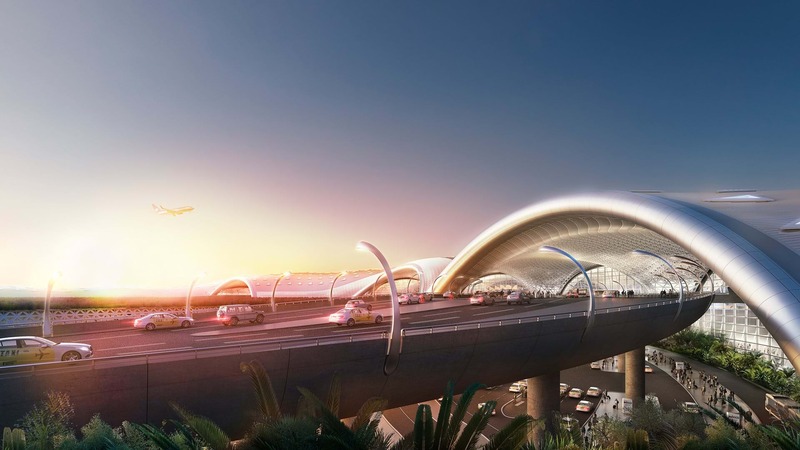 As Mexico begins the difficult process of paying back the investors who have already sunk money into the project ahead of an ambitious public and private-public works effort by AMLO, there will likely be more news on the airport and its fate. As part of the 10th edition of Design Week Mexico, happening now through October 28, Mexico City’s Museo Tamayo is hosting the INÉDITO exhibition, which highlights the work of emerging design practices across Mexico. In its fourth iteration, the show includes 80 design pieces ranging from jewelry and fashion to flatware and furniture. Across the wide range of products in the show, there are a few common threads that run through much work. In many of the pieces, fine hand-crafted detailing and rich natural materials are used to great effect. The jewelry of fourth-generation craftsman Iker Ortiz uses marbled Corian and gold, and Mexico City–based jewelry studio María Mariscal collaborated with Taller de Obsidiana using fine gold plating to expand its work into a full set of dining flatware. The level of detail continues through to larger pieces in the show as well. Furniture pieces by both LANZA Atelier and Claudia Suarez Ahedo both deploy smooth filleted forms in wood and aluminum. LANZA Atelier, which primarily practices as an architecture firm, produced a two-person nesting set of chairs and a table for the exhibition. Entitled Tête à tête, the piece is made of neatly joined banak wood and MDF, and when closed, forms a single smooth compact unit. The chair produced by Milan, Italy–based Mexican architect, Claudia Suarez Ahedo, is inspired by the strength and sensibility of Mexican women. Aluminum was chosen for its strength and flexibility, while the light desaturated salmon color was chosen to complement the smooth form. Along with the showcase of work, awards were announced in a number of categories. Taking the top award was Alejandro Martínez Jaime, with his project Recybloq, which transforms construction waste into new building blocks. For the exhibition, the up-cycled parallelogram blocks are arranged into a small vaulted pavilion. Each year Design Week Mexico has grown as more institutions and the public have joined in on the events. The opening ceremonies for this year’s events, also held at Museo Tamayo, attracted thousands. 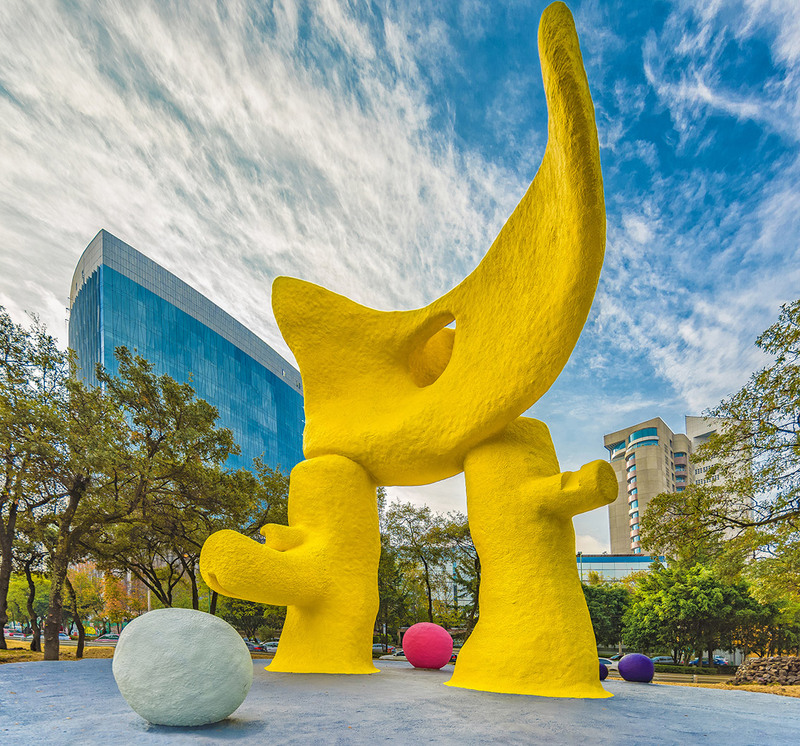 Other venues include the neighboring Museo Nacional de Antropología, where contemporary works directly influenced by traditional Mexican craft were on display. Throughout the city, design galleries and showrooms also took part with special events and displays. On top of that, Mexico City has been named the 2018 World Design Capital by UNESCO. The level of engagement points to a healthy design community in Mexico City with a bright future.